- Hex collet nut allows easy cutter changes. 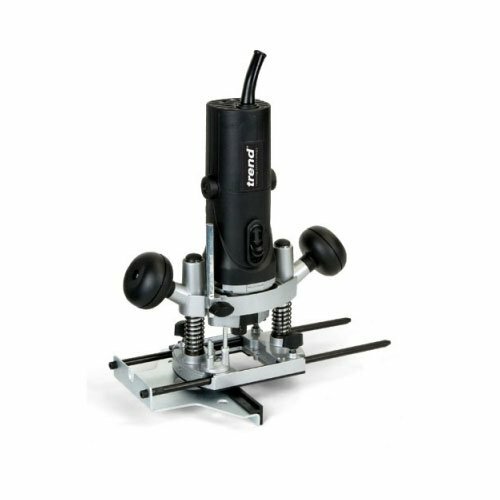 - 43mm diameter collar removeable base for carving, die grinding and pillar drill fitment. Tapped fixing holes for Trend standard guide bushes. - Separate dust spout fixing holes.